Donkey Sanctuary Bonaire is extremely concerned about the government’s plan to catch the wild donkeys on Bonaire and send them to Haiti to become working donkeys. 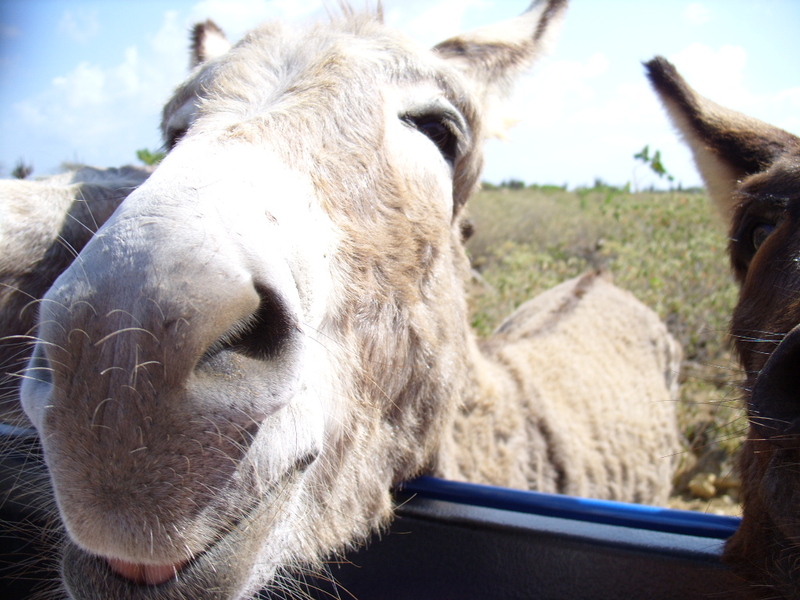 The government of Bonaire wants to capture all these donkeys at very short notice, claiming that its aim is to prevent damage to vegetation and improve road safety. Deputy James Kroon told the media that the donkeys will then be transported to Haiti to be used as working animals over there. 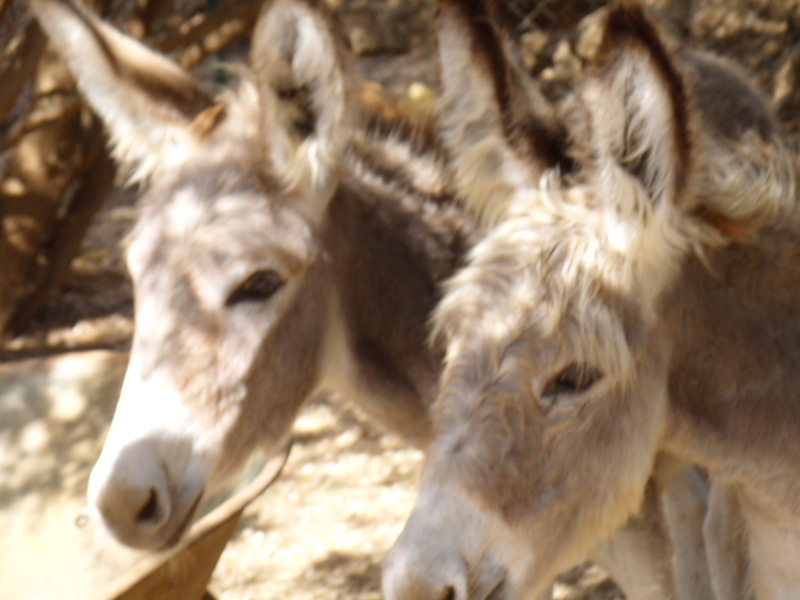 Although Donkey Sanctuary Bonaire has been calling upon the government for many years to rescue the stray donkeys from the streets, its chairwoman Marina Melis does not agree with the government’s plans. “It seems that the donkeys will be captured without proper welfare precautions, which will cause them distress and suffering,” she said. Donkey Sanctuary Bonaire has already had several consultations with the government to try to find a more animal friendly solution. Donkey Sanctuary Bonaire offered to coordinate the rounding-up and capture of the wild donkeys. This way the donkeys would be removed from the streets in an animal friendly manner, by people with the right training and equipment. Donkey Sanctuary Bonaire has all the necessary knowledge and experience at its disposal, but a project like this needs thorough preparation and therefore could not be executed until the beginning of 2013 at the earliest. All the captured mares (including those which are pregnant) and foals can then be accommodated in the donkey sanctuary, where they will be safe and have a good life, on condition that the government contributes to the cost of taking care for these animals. Until now Donkey Sanctuary Bonaire has not received any financial support from the government. Unfortunately, the captured adult stallions cannot be placed in the Donkey Sanctuary. Even if they are neutered, they will still have aggressive territorial tendencies and will attack other males confined with them, so it is not possible to have them in the sanctuary. Donkey Sanctuary Bonaire proposes to neuter these stallions and then set them free again on the island, or have them euthanized by the vet. Even this last resort would be more humane than sending the donkeys to Haiti. 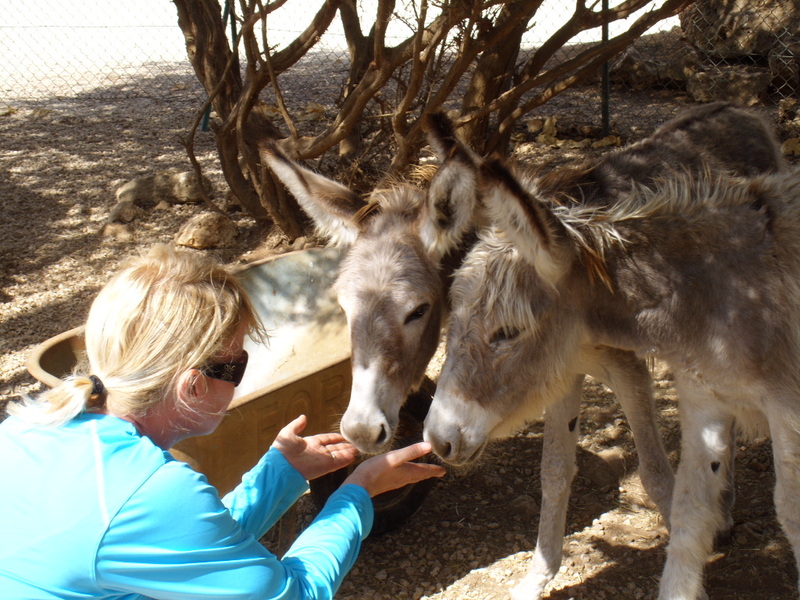 Donkey Sanctuary Bonaire is a non-profit organisation whose primary objective is to offer safety and protection for all donkeys on Bonaire. Marina also works to raise awareness and overcome negative perceptions of donkeys among the local community, schools and tourists. At the moment over 400 donkeys are already cared for in the donkey sanctuary. They are provided with food, drinking water and medical care and have plenty of space and freedom. All male donkeys in the sanctuary are neutered to control the number of donkeys in care. The number of wild donkeys on Bonaire is estimated at approximately 200. These stray donkeys are in constant danger. Every year lots of donkeys die from starvation, dehydration, illness and (road) accidents. 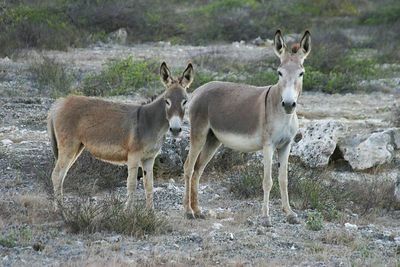 The Bonaire Government is trying to rectify the overpopulation of wild donkeys by sending them to Haiti to become beasts of burden. Their proposal includes rounding up wild males, tranquilizing them and sending them with the Dutch Navy to Haiti. Donkeys have been used as working animals for many years around the world, but wild donkeys that roam the island of Bonaire would not be able to be used in such a manner It is more likely that the donkeys (those who actually survived the journey) would have a short hard life & that some of them would be used for food perhaps. Donkeys have roamed freely for years. They are often a nuisance due to car accidents and aggressive male behavior but most including the author are charmed by their presence in the island landscape. Tourists flock to see the donkeys at the habitat. Many locals water and feed the wild donkeys. They are greatly beloved by most. The Donkey Sanctuary has provided a safe haven for the island but cannot manage all so many still roam wild. Their goal is to sterilize all wild males to lessen the population and decrease aggressiveness. There are other means to support the plight of these lovely creatures that have been a part of the island’s landscape for over a hundred years. Please consider supporting a humane way to help. Go to http://www.donkeysanctuary.org/ to learn more. Animals make me happy. Bonaire’s lovely donkey’s always make me happy. I have been to the donkey sanctuary many times with visiting guests. It’s an amazing place that nurtures and protects the island’s donkey population. Many donkeys still reside outside the property and the loving folks at the sanctuary care for their health needs as best as they can. Would you consider helping by adopting a donkey? Contact the Donkey Sanctuary to learn more. When on island, pick up as much bread as you can (I usually get 10 loaves of day old bread in the back at Cultimara Grocery) and head over to the Sanctuary located on the Sorobon Road. Hundreds of years ago the donkeys were brought to Bonaire to labour in the sun. Unwilling guests they are still a part of Bonaire’s landscape some wandering free living off the landscape. Many have been captured and are living in harmony at the Donkey Sanctuary. No trip to Bonaire is complete without a visit to the sanctuary for a Donkey Safari. Before you go, head to Cultimara and stock up on about 10 bags of day old bread and apples. You will need it. Consider adopting a donkey. Carlea and Geoff adopted a donkey..check out their latest safari..